Imagine what life was like before there was a radio in every home! Society was accustomed to quiet evenings and self-entertainment – not all bad! News from the outside world was slow in coming. The advent of radio changed everything. The Crosley “Pup,” is a one-tube radio introduced by the Crosley Corporation in 1925. Battery-powered and designed for earphone listening, the Pup retailed for $9.75! Its Armstrong regenerative circuit was manufactured under patent license from Edwin Howard Armstrong, radio’s greatest inventor/engineer. The particular working example, pictured here, came from my wife’s aunt and uncle after a major garage-sweep. Her aunt’s father brought this very radio home one evening in the mid nineteen-twenties; it brought the “world” and the magic of radio into the family household when “wireless” was still new. Those technologies were important steps in what was yet to come, but it was “wireless” radio that left giant footprints on America’s social fabric; radio was the great leap forward that led to the age of communication and life as we know it today. Whereas radio’s inventor, the Italian, Guglielmo Marconi, visualized his brainchild as a point-to-point communications channel – much like the telegraph line or a pair of walkie-talkies in the hands of two individuals, others quickly saw radio’s real potential in “broadcasting.” The term derives from the farmer’s field during planting season where seeds for the year’s crops were “broadly cast” far and wide from a point-source…the farmer as he walked through the field. The concept of a point-source (radio transmitter) broadcasting far and wide to a large receiving audience was quickly adopted as radio stations rapidly came on the air. This application of radio soon morphed into a huge commercial enterprise which would see such icons as RCA, Philco, ABC, CBS, and NBC become household names. 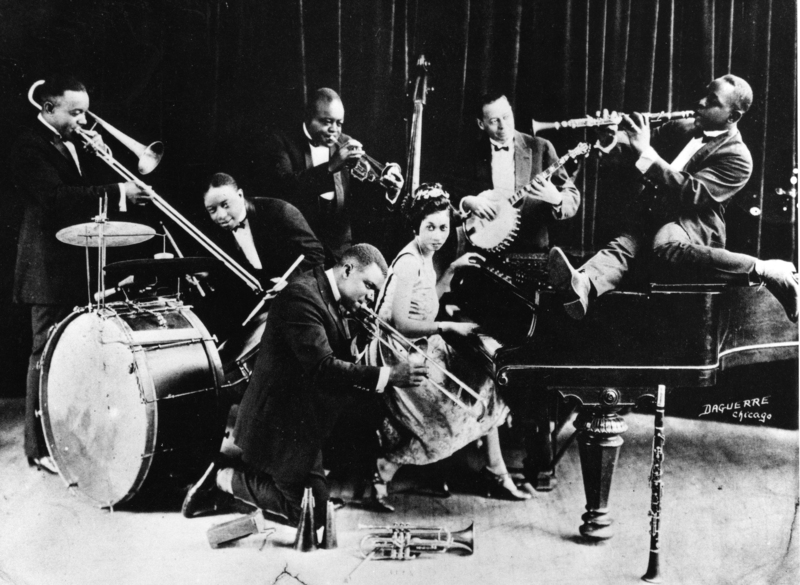 Other names like Edgar Bergin and Charlie McCarthy, Jack Benny, George Burns and Gracie Allen, Fibber McGee and Molly, the Lone Ranger, and Jack Armstrong also became part of the national consciousness, joined later by the great big-band leaders, Goodman, Miller, Dorsey, and Shaw. Later, President Franklin Roosevelt used the airwaves and his fire-side chats to mobilize America’s resolve through the depression years. Marconi first demonstrated wireless radio (Morse-code telegraphy) in 1896. The first wireless transmission of music and the human voice was heard on Christmas Eve, 1906, courtesy of an important radio pioneer, Reginald Fessenden. It took ten more years for technology developments in “wireless” to reach the critical mass necessary to birth the broadcasting industry. Two major technical developments occurred within those ten years which spurred radio’s meteoric rise and changed society forever. Most people have heard of “crystal set” radios. These were early receivers of radio signals which were “passive” in nature (no external power source), and very popular with young boys in radio’s early days. These receivers relied on unique electrical properties of natural crystal materials such as Galena to rectify and detect weak radio waves, rendering them suitable for earphone listening in the process. There was no amplification available in crystal sets to boost the weak signals from the receiving antenna, hence their performance was very poor. 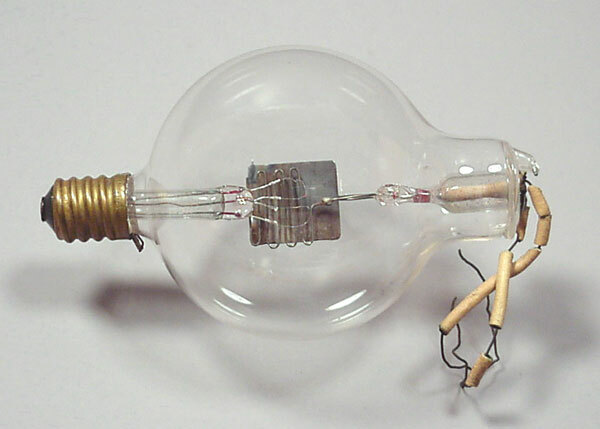 Enter Lee De Forest and his Audion vacuum tube in 1906. De Forest is familiar to anyone knowledgeable about early radio. Although he was a central figure in early “wireless,” he is also regarded as somewhat of a “wheeler-dealer” and a charlatan by many who know the complete history. The short version of the story centers on his introduction of the Audion vacuum tube in 1906, an “active” (battery-powered) device which, after subsequent design improvements, provided the signal amplification/detection qualities necessary for radio to become practical. In the view of many, De Forest did not understand the workings, from an engineering point of view, of his own invention! Edwin Howard Armstrong, “Explainer” of the Audion Tube and Inventor of “Regeneration,” the Second Great Advance in Radio. For radio and electrical engineers who know the history, Edwin Howard Armstrong is the tragic hero of early “wireless” and a victim of the radio empire which he helped to create. He was the quintessential radio engineer’s engineer – bright, motivated, creative…and stubbornly persistent. He exuded personal integrity. The very qualities which made him the greatest inventor/engineer in the history of radio, led to his downfall and suicide in 1954. Howard Armstrong surfaced in 1912 as a senior electrical engineering major at Columbia University with an obsessive interest in the infant science of “wireless” radio. He was a fine student with a probing, independent mind that suffered no fools. 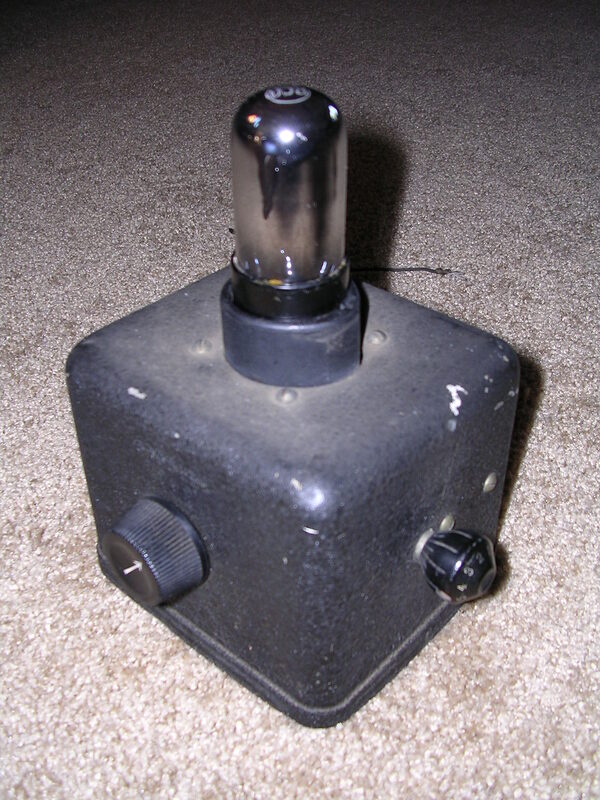 In 1912, while living at home in nearby Yonkers, New York, and commuting daily to Columbia on an Indian-brand motorcycle, he invented a way to greatly increase signal amplification using a single De Forest Audion tube by feeding part of the tube’s marginally amplified output back to the input of the device where it was amplified over and over again. This technique is now known in the trade as “regeneration,” or positive feedback. Along the way, young Armstrong had made great strides in understanding the technology behind De Forest’s Audion tube, insights far beyond those De Forest himself had offered. While tinkering with the idea of signal regeneration in his bedroom laboratory early on the morning of September 22, 1912, he achieved much greater signal amplification from the Audion than was possible without using regeneration. The entire household was abruptly awakened by young Armstrong’s unrestrained excitement over his discovery. Regeneration was patented by Armstrong in 1913/14 and was used, under license from him, in countless radios during the early years when radio sets with more than one tube were very expensive to produce, due to the high cost of tubes. By 1914, De Forest stepped forward to challenge Armstrong in court over Armstrong’s patent, claiming that he, De Forest, was the legitimate inventor of regeneration. The litigation in the court system over regeneration lasted twenty years, finally ending in the United States Supreme Court. Shockingly, De Forest was handed the final decision by the court, but the substantial body of radio engineers across the nation in 1934, who were well aware of the “radio art” and its history, were not buying De Forest’s claim. They fully supported Armstrong as the legitimate inventor. The twenty-year patent litigation battle over regeneration was the longest in U.S. patent court history. 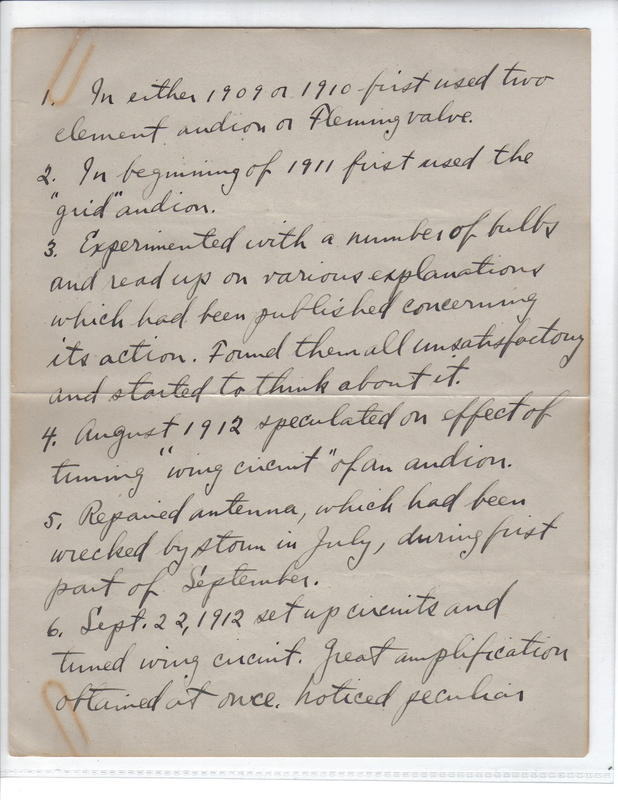 Here is the historic account of his invention, written in Armstrong’s own hand around 1920, the first page of an eight-page account of his discovery of regeneration – undoubtedly used to document his court-case. Armstrong went on to make several major contributions to the radio art. The super-heterodyne receiver he designed in 1918 became the universal radio configuration for decades to come due to its superior performance. Through patent licenses with Armstrong, the super-het made RCA, the Radio Corporation of America, the biggest manufacturer in that highly profitable market, and it made Armstrong the largest stockholder of RCA during its early days of corporate glory and immense profitability in the mid-to-late nineteen-twenties. Incredibly, twenty-one years after harnessing regeneration, Armstrong went on to make yet another giant contribution to the radio art: FM (frequency modulation) broadcasting. 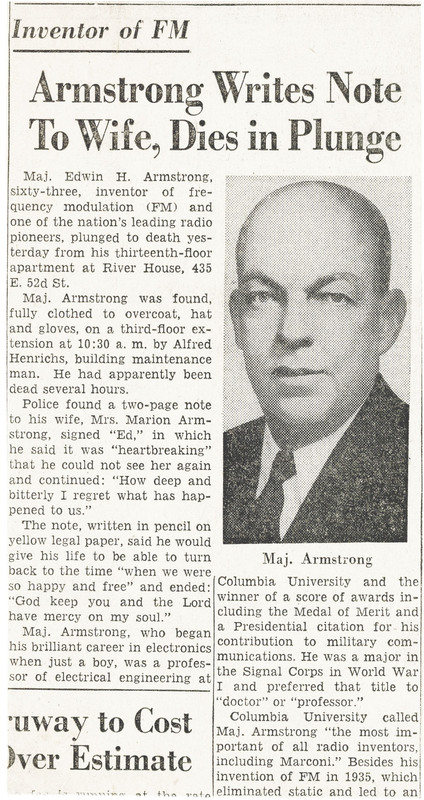 In 1933, in the true tradition of the independent, lone-inventor, which he was, Armstrong introduced the entirely new system of FM broadcasting. Most radio engineers had said for years: “Radio static, like the poor, will always be with us.” The traditional AM (amplitude modulation) system of broadcasting suffered mightily in those early days of low transmitter power and poor reception from the annoying effects of static. Engineers had worked for years on the problem, to no avail. Armstrong took a very different and unlikely approach using wideband frequency modulation. In his revolutionary FM system, static was very greatly reduced. He, virtually by himself, designed and built the wideband FM system which was successfully demonstrated from the top of the Empire State Building in 1935 – essentially the same FM system we use today – a most remarkable achievement. Howard Armstrong was one of the last, great, lone-inventor/engineers. He was long affiliated with his alma-mater, Columbia University, and had extensive business/patent dealings with giant corporations, such as RCA and Philco, which drew their life-blood from his inventions and the industry which he helped to create. Despite such wide-spread affiliations, he was, by temperament, an independent thinker in the lone-inventor mold. As radio entered the late nineteen thirties, men-of-action like Armstrong were becoming obsolete, increasingly overrun by corporate beauracracies and their in-house armies of engineers. Radio was now out of the hands of the lone-inventor, becoming the exclusive domain of the moneyed corporations with influence at the FCC (Federal Communications Commission) in Washington. Armstrong increasingly found himself defending his legitimate patent rights against large corporations, battling their great financial resources and their legions of corporate lawyers. As he continued to lose rightful patent royalties due to corporate violations of his patents, he stubbornly fought back, dissipating his once-great financial security to fund the necessary lawyer’s fees. 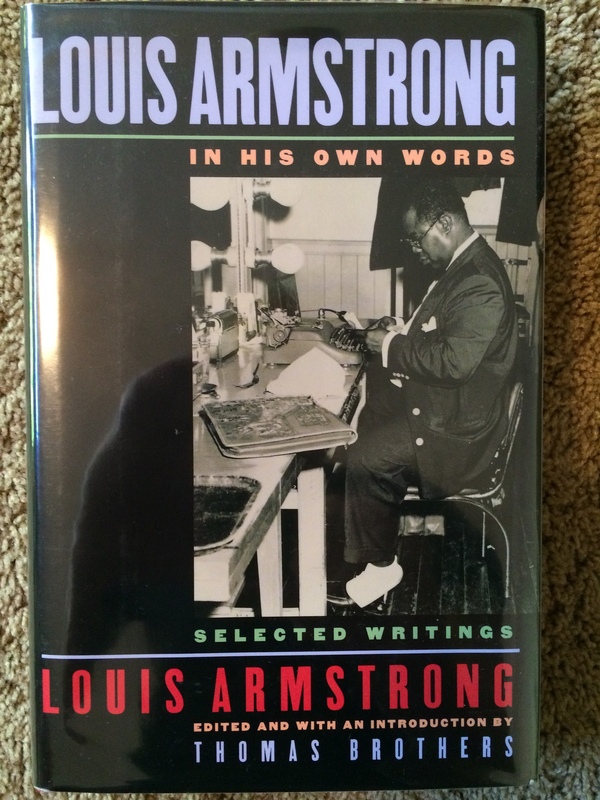 Armstrong was a man of principled integrity; he could have capitulated, retreated, retired comfortably, and lived out his life, but he chose to fight. Ultimately, those ceaseless legal battles wore him down, bankrupted him, and destroyed his long marriage. On May 5, 1954, he stepped from his New York apartment window to his death thirteen stories below. In an ironic sense, he fell victim to the industry and the changing times he helped to create. He also was victimized by the very qualities which made him great: Intellectual independence, principled integrity, and the stubborn will to persevere. There are many lessons to be learned from Howard Armstrong’s life-story. The lone crusader was crushed by the corporate “Goliaths” he helped create. 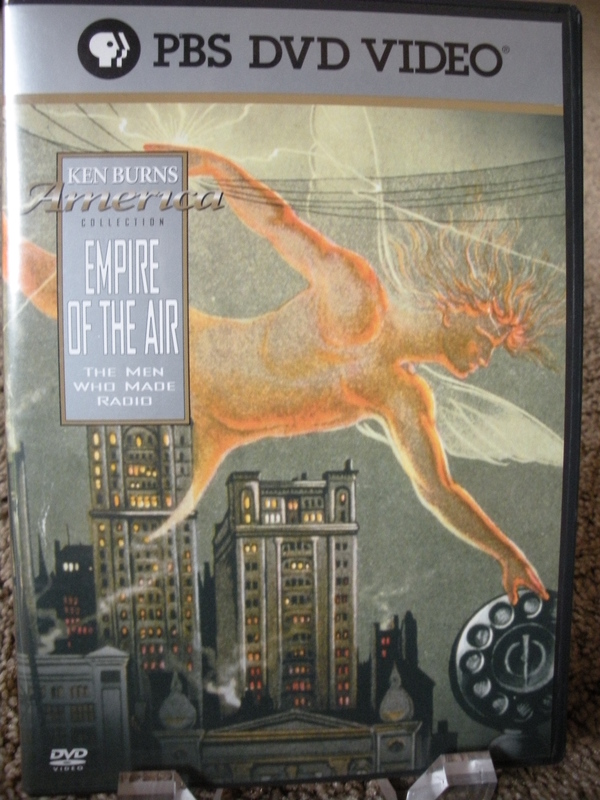 If you would like to know more about the early history of radio, De Forest, Armstrong, and David Sarnoff of RCA, the Ken Burns DVD documentary feature, Empire of the Air, is outstanding. The history of early radio unfolds as a back-drop to the fascinating stories of the three cited individuals – all of this presented with an historical emphasis on radio’s influence on America. The film is illuminating and highly entertaining, not merely as the history of radio, but as a commentary on life in early twentieth-century America. 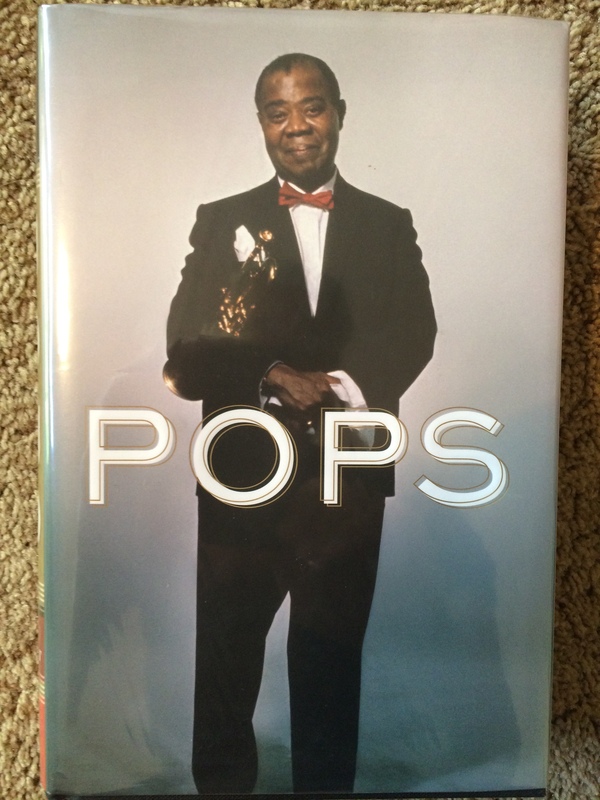 The DVD is based on the book of the same name by Tom Lewis – also highly recommended. That makes me sad, too, motivating me to write this post – not just to benefit his memory, but to share his poignant story with you; there are so many life-lessons to digest. He was instrumental, through his genius and perseverance, in changing the way we live our lives today… big-time. Now you know. 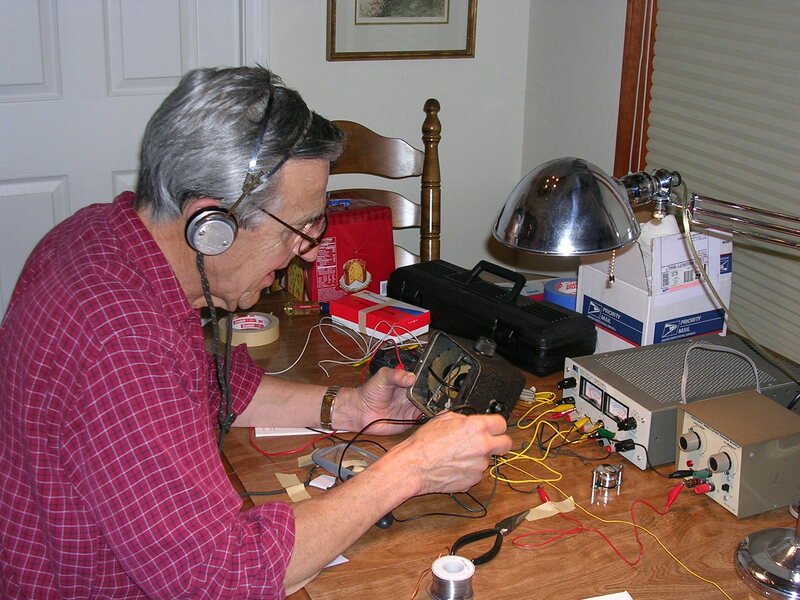 A modern-day “wireless” fan (me) tuning-up the Crosley Pup!